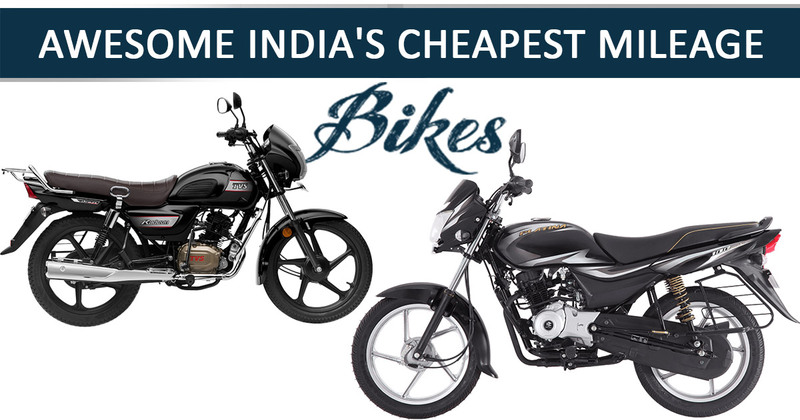 It is a difficult task to find out the best affordable mileage bikes in the crowd of a commuter bike. Here are lots of two-wheeler companies that provide a commuter bike along with a standard feature, of course, the buyers get confused. In this post, we will introduce such that type of bike that will meet you for your basic needs. 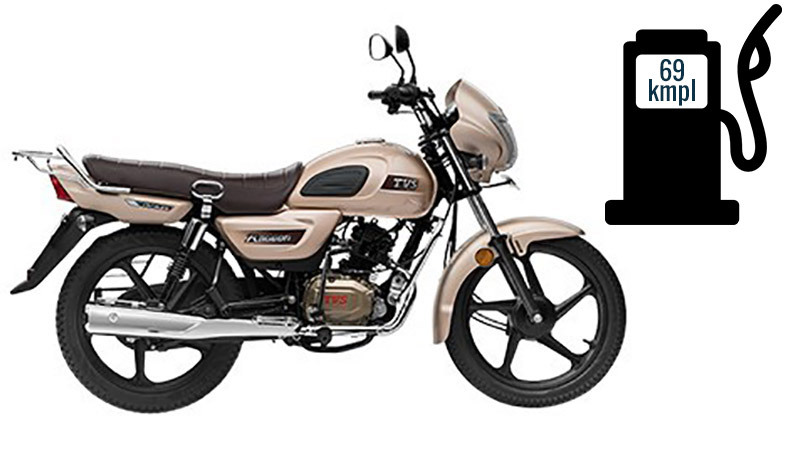 Priced at INR 48,400 ex-showroom, the TVS Radeon is a 110cc flagship commuter. The motorcycle was introduced in order to bite on Hero’s market share in the segment. As it is a direct competitor of Hero Splendor+ and somewhere follows an identical silhouette. The Radeon is completely different in design philosophy with the available range of TVS commuters in Indian lineup. Apparently, premium in equipped bits, this entry-level commuter gets a headlight with integrated DRL & chrome bezel, premium & stylish speedometer, attractive tank pad, champagne gold engine covers and premium and spacious seat. Underneath the tank, a 110cc motor shared from TVS Victor takes care of propelling. The mill churns out 9.5 hp along with 9.4Nm and returns 72km/l fuel economy in city conditions. 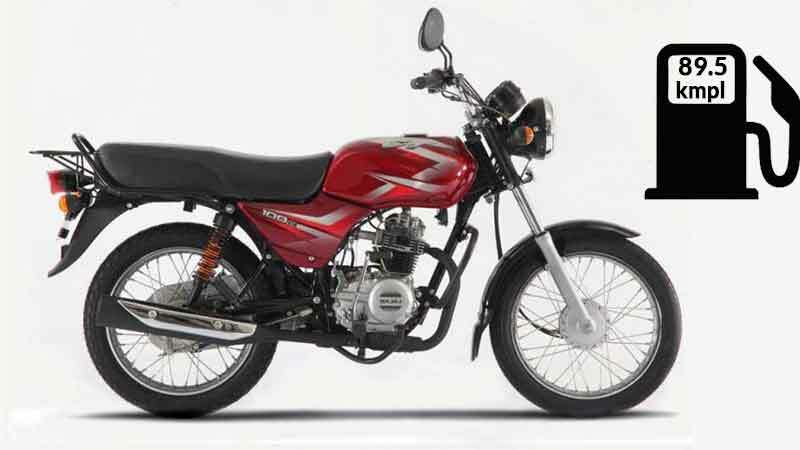 The all-new fuel efficient and the affordable Bajaj CT 100B is set to rule on the Indian roads with its dynamic performance and low-maintenance portfolio. It is the best option for daily commuters. It comes powered by a 99.27cc single-cylinder engine, compliant to BS-IV emission norms which are also used in the Discover 125 model. It churns out a maximum power output of 8.2 PS and 8.05 NM of torque and comes mated to a 4-speed transmission. Moreover, the company claims the mileage of 89.5kmpl for this bike. It comes with a hydraulic suspension in the front and a standard SNS suspension in the rear. 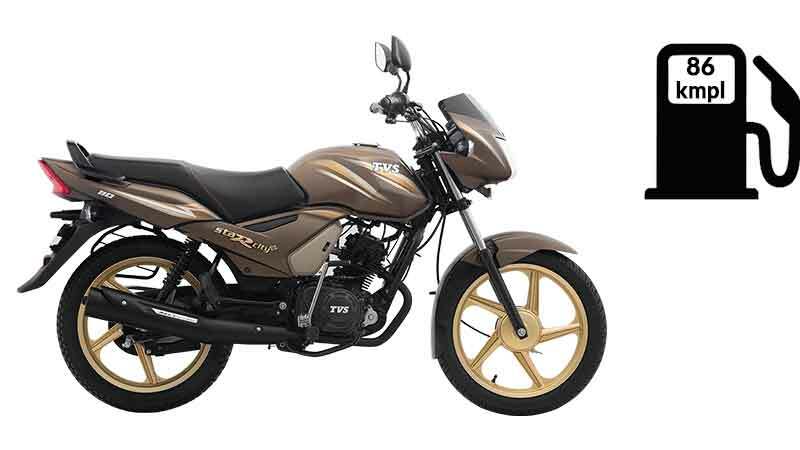 With such an impressive price tag, the CT100B has become one of the cheapest mileage 100 cc bikes available in the Indian market. 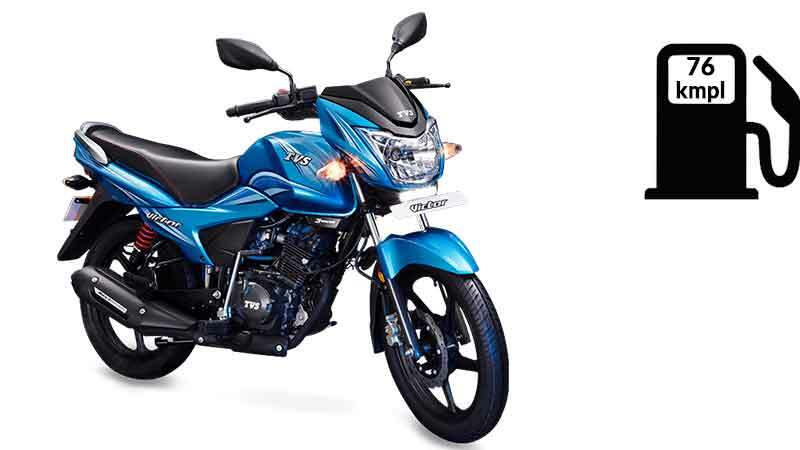 The TVS Sport is a class leading bike in its category that offers a good ergonomics and a comfortable ride. The engine feels you more pleased, such as it comes with a 99.77 cc, 4 stroke duralife, compliant to BS-IV emission norms engine that produces a healthy power of 7.8 BHP and makes 7.8 NM of torque. The stunning sportier instance along with a class leading mileage marked its position in its category. Thus, the claimed fuel economy of this bike is 95 KMPL. At the lower price, the bike will fulfill all your requirements. 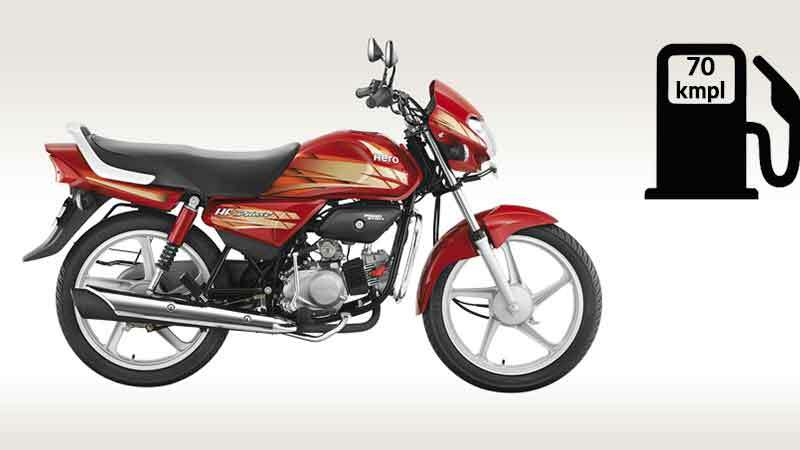 The Hero HF Deluxe is also an entry-level 100 cc bike from Hero MotoCorp. HF Deluxe has very few differences from the HF dawn. It also gets a trapezoidal multi-focal reflector headlight in the front. It features telescopic hydraulic suspension system in the front and a two-way adjustable hydraulic suspension in the rear. Additionally, it gets 5-spoke alloy wheels with power start system.It comes powered by a 97.2 cc four-stroke single cylinder OHC engine with i3S technology that churns out a maximum power of 8.24 BHP at 8,000 RPM and a peak torque of 8.05 Nm at 5,000 RPM. This engine is paired with an effective 4-speed gearbox. However, The company claims that the bike is capable of achieving the best fuel efficiency of 70-80 kmpl. The Platina is a premium segment machine from the Bajaj where the bike has established a benchmark in the mileage bike portfolio. 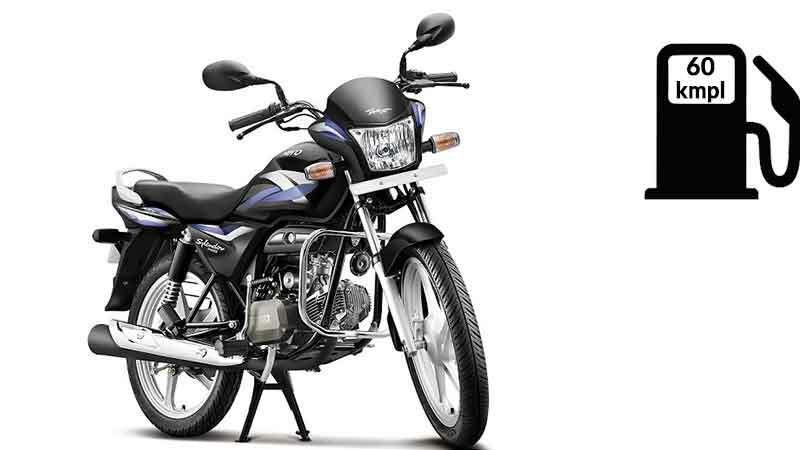 It comes with a legendary four-stroke 102 cc engine that gives a linear power and mileage. In terms of comfort, it comes with an extra long seat and lightweight handlebar. Moreover, the air-cooled engine churns out a maximum power of 8 BHP and makes 8.06 NM of torque. As per the company, the overall mileage in city and highway conditions is noted around 75 KMPL. Go for Platina on road price. 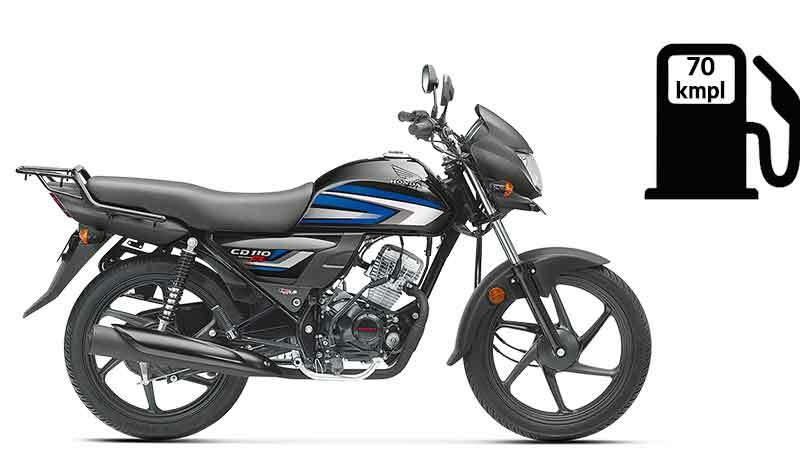 The CD110 Dream is the most affordable commuter motorcycle offering by Honda two-wheeler. With the stunning graphics, headlight cowl, and sharp fuel tank, the CD110 looks more appealing. The commuter motorcycle is powered by a 110cc and single-cylinder, a motor which returns 8.31 BHP of power and 9.09 Nm of torque. All the power sent to the rear wheel via a four-speed gearbox. The engine of Honda CD110 Dream is blessed with the Honda Eco Technology (HET) and BS-IV emission which helps in the power output and improves fuel efficiency. The claimed mileage of this motorcycle is 70 KMPL. Moreover, the motorcycle is available in three colour options- Black with Green Graphics, Black with Red Graphics, Black with Grey Graphics and Black with Blue Graphics. The TVS Star City Plus was introduced at the 2014 Delhi Auto Expo. Since then, the model has been popular among the Indian Commuters. The bike has gone through several major up-gradations by the time and now it is available with an optional electric starter feature along with the kickstart. Presently, the model comes with the latest muffler guard which is made up of stainless steel, side panel grills, crown visor, and modern rear-view mirrors. The motorcycle is powered by a 110cc 4-Stroke, BS4 Compliant engine which produces 8.28 BHP of power output and 8.7 Nm of torque. The engine comes mated to a four-speed transmission, offering a fuel efficiency of 80kmpl. Honda is offering the most affordable bike for the Indian market with a class leading mileage of 60 KMPL, which comes from its refined engine. The bike is coupled with some handy features that make it a very strong proposition for the street roads. The nimble handling and responsive seat will surely put a smile on your face. The motor of the everyday commuter bike is featured with an air-cooled, four-stroke and single cylinder OHC technology that sent a maximum power of 8.36 BHP at 8000 RPM and 8.05 Nm of torque at 5,000 RPM. More details of Splendor Pro. 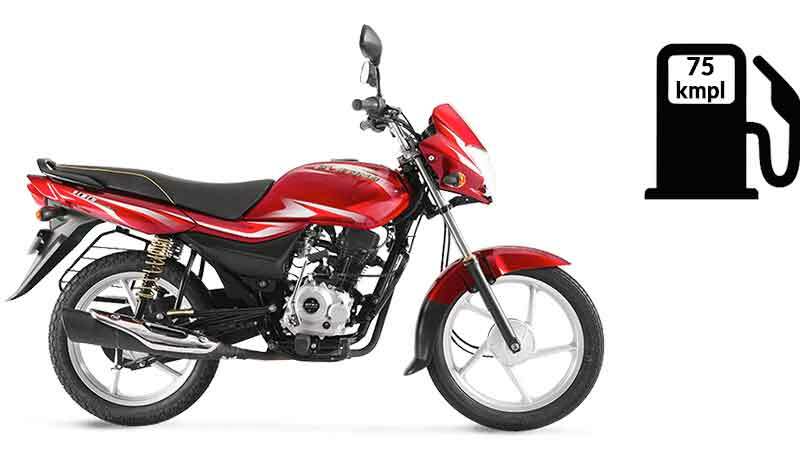 The Hero MotoCorp launched a new standard bike on 14th July 2016, called Hero Splendor iSmart 110. This bike less in price and high in mileage. The motorcycle has i3S technology (Ideal Start Stop System) that shuts the engine when stopping the bike and improve the fuel efficiency. This is the first self-developed in-house manufacturer, motorcycle Hero Motocorp after splitting from Honda. 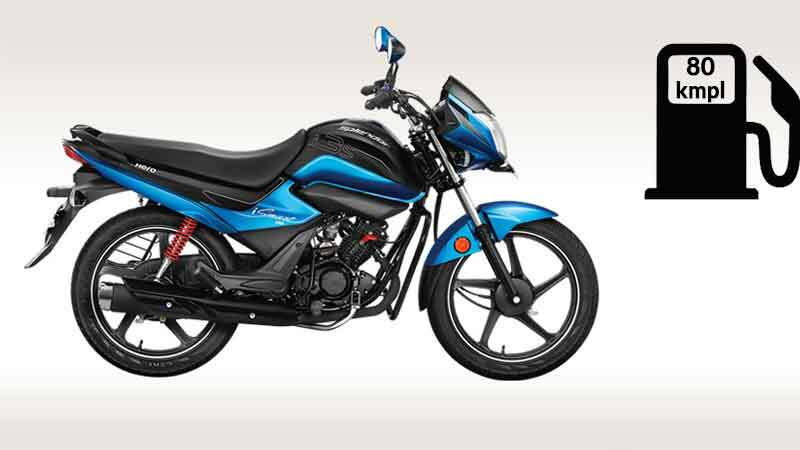 Hero Splendor iSmart 110 has 110cc Engine displacement with an air cooled 4 strokes, single cylinder, OHC which produces power 9.40 BHP@7500 RPM and torque 9 Nm@5500 RPM. This bike has 130 mm front and 110mm rear drum brakes, It keeps front telescopic suspension and rear swing arm that give a safe ride. This bike valued INR 54,900 (Ex-showroom Delhi). All New TVS Victor has been made re-back in the Indian market. Interestingly, the firm was discontinued the All-New TVS Victor that launched in 2001. The 110cc motorcycle is likely to be based on the same platform that TVS Star City Plus uses. The Victor comes with features and technology. It offers a 3V- EcoThrust, BS-IV Engine 109.77 cc engine that produces maximum power of 9.6 BHP at 7,500 RPM and a peak torque of 9.4 Nm at 6,000 RPM. The engine is paired to a 4-speed gearbox. Victor comes with Self/Kickstart and alloy wheels. Presently, the bike is available in six colour options – Blue, Red, Silver, Grey, Black Red, Black Grey.